True or false? The S&P 500 is on the longest winning streak without a 3% pullback since the Great Depression. While you ponder the answer, here are a couple of factoids that may explain the market’s relentless, yet sneaky (no daily gain of more than 1% since September 11) advance. “Our [major market top indicator] continues to confirm the latest S&P 500 highs. Investor sentiment also is not as bullish as one would expect at all-time highs. 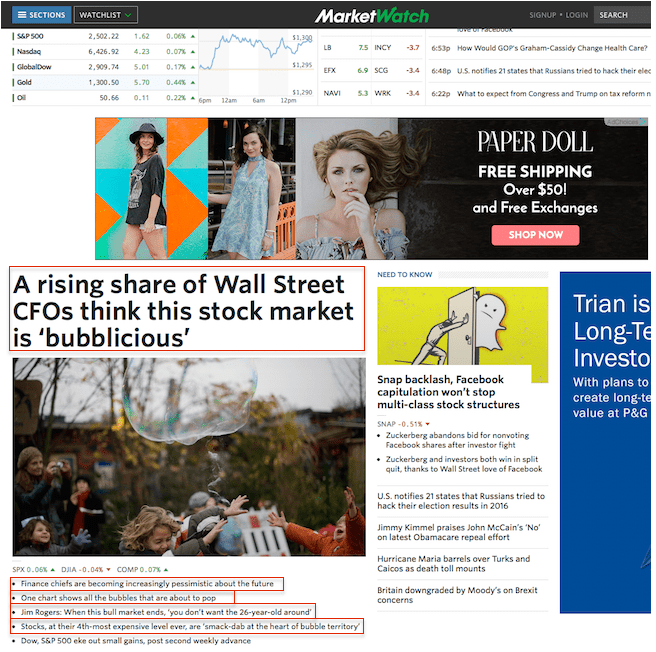 5 of the 6 top MarketWatch headlines were bearish on Friday. The answer to the introductory question is: True. The S&P 500 has never gone longer without a 3% pullback. The last 3%+ correction concluded on November 3, 2016, just before the presidential election. The second longest streak ended in December 1995. True or false? The next 3% correction is just around the corner. The long-term S&P 500 chart highlights two trend channel resistance levels (see blue chart insert for zoomed-in view). Under normal circumstances, we would expect the S&P 500 to show a significant reaction to the trend channels, but these are obviously not normal circumstances. 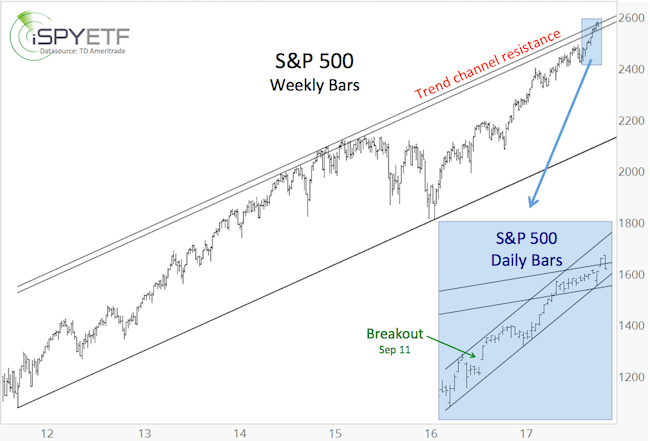 Based on the long-term trend channels, we could see a pullback near current trade, but unless this pullback gathers down side momentum, the S&P may grind higher to 2,600+/- before we see a larger correction. 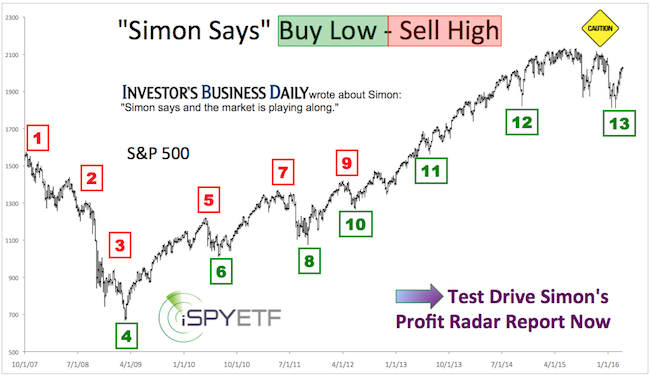 Continued analysis – including our amazingly reliable major market top indicator (which has continually pointed higher) – is provided via the Profit Radar Report.